A nervous child steps out of the car. She looks up at the weird-looking building with a steeple and lots of people going inside. This child never has been to a church but is going to VBS with friends from her neighborhood. 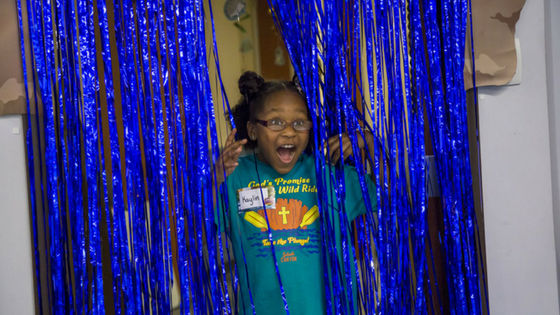 The right VBS decorations could bring her in and could help her forget her nervousness. A couple children hop out of their car and run into the building they come to every week. They know every nook and cranny of this building. They know the best places to hide. But when they step in, they are not in the normal setting. They are in a “new world.” This hook gets their attention back in a new way. It creates wonder in a place of familiarity. Both “types” of children are positively influenced by great decorations at your Vacation Bible School. I encourage you to create a new setting for children. Build an atmosphere in which memories will be made. Let the children's excitement and wonder work in your favor. However, these children are not the only ones who can benefit from VBS Decorations. Your decorations can help with advertising, church relationships, and each child's experience. Decorate sooner rather than later. Your decorations in the facility can be done over time, if the space will allow. If your facility is highly trafficked (as ours is, being a school and church), don’t be afraid to decorate early! Just do it strategically in places visible but not inhibiting. Archway, corner, and narthex decorations can all be put up ahead of time to spread out your work and also be advertising for VBS. Families will be intrigued and reminded to register when they see this in the facility. 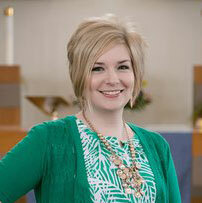 A simple “bring a friend” sign hanging by the décor could inspire more non-churched friends to be welcomed. While you are saving stress for your volunteers by spreading out the workload, you also could be increasing chances of getting new families in the door because they had time to plan for VBS. Be creative with décor volunteers. Adults can be positively affected by VBS, too. There are some people who may not be a first thought for interacting with children at VBS, but they have creative talent for building sets or connections for more building materials. Pick the brains of janitors, construction workers, and Home Depot employees. They could unlock new ideas and creativity for you! By doing so, you also may be involving someone who hasn’t been involved in something like VBS before. Serving together often helps people to get to know one another. Building new relationships in the church builds up the body of Christ. Let the impact inspire wonder! The goal of decorations is not to be just an extra. The reactions of the fictional children in my opening of this post are real reactions of many children. The environment you create will take children out of the everyday learning to something new and exciting. As VBS is a short time in which we hope to make a big impact, the decorations create an environment of memory-building. May your lessons, songs, and activities be a memorable delivery of God’s Word, God’s love, and God’s promises. Children will be excited to be at VBS. Embrace this excitement with songs and activities. Encourage your volunteers to focus the excitement toward relationship-building. I hope these ideas will be a blessing to you in the ministry God is working through your church. It can be easy to lose sight of why we do these things when we are getting this big project off and running. However, there is meaning and reason behind each part of Vacation Bible School. May God bless your endeavors. Enjoy sharing God’s promises with children this summer!